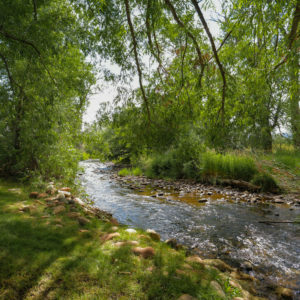 Rare Opportunity to Own Home on Trout Stream in Eagle, Colorado! 2039 Brush Creek Road with over 100 yards of creek plus a trout pond in your back yard! 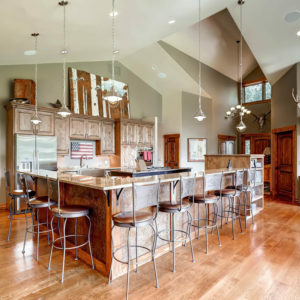 This home lives like a mountain retreat but is only minutes from all the Vail Valley has to offer. 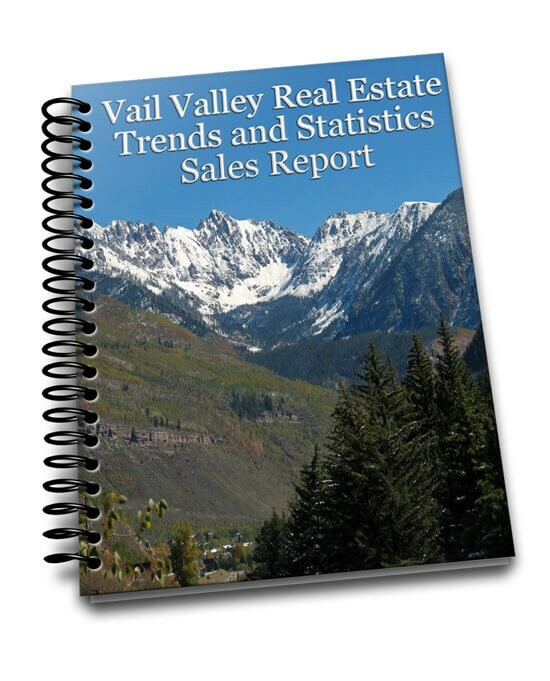 Built in 2007, this property is removed from the hustle and bustle of everyday life but is only two minutes from downtown Eagle, a true Rocky Mountain Town located less than thirty miles from the resort villages of Vail and Beaver Creek. Warning: Once you settle in to this 5-bedroom, 5-bathroom, 5,000-square-foot home, you may not want to leave. 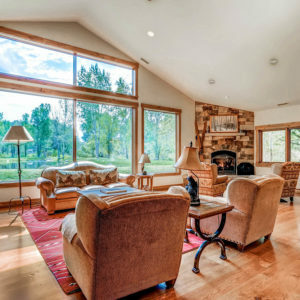 The expansive windows let the natural light in, bathing the open floor plan in sun. The four bedrooms, all with en suites and walk-in closets, are on the main level, allowing for wheelchair access. There is a large rec room upstairs where the kids can play without disturbing anyone and this spacious area can easily be converted into a lock-off or mother-in-law apartment. Brush Creek runs right through this 3-acre property with fly fishing directly out your back door. The private trout pond is reminiscent of a Norman Rockwell painting come winter: kids skating and laughing with glee. (Bonus: the pond is stocked for fishing fun.) 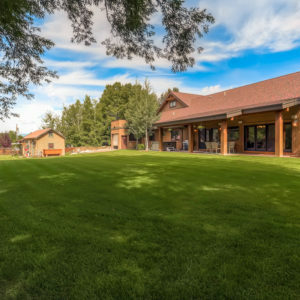 The grounds are stunning with hundreds of cottonwood trees and acreage for horses and livestock. Along with plenty of land, this home was built with toys in mind with the 5+ -car garage. Additionally, there are several out buildings for storage. Add to the fact there are no HOAs or covenants and this is a bit of paradise right in Eagle. The home feels high-end but isn’t fussy with granite counters throughout and custom wood trim and beautiful quarter-sawn white oak flooring but is comfortable enough for large family gatherings or a quiet evening at home with the kids and grandkids.